Where to Buy Urea 46-0-0, UREA 46-0-0 Fertilizer - 50 Lbs - $59.95 for Sale with Fast Free Shipping! Urea 46-0-0 has the highest concentration of Nitrogen of any granular fertilizer. Snake Scram Professional Repellent - 8 - 22..
Urea is the richest source of nitrogen among the common dry fertilizers. Anhydrous ammonia (NH3), which contains 82% nitrogen, is a pressurized liquid that transforms into gas when released (liquified gas). Urea ranks as the most preferred dry nitrogenous fertilizer in the United States due to advantages such as high nutrient analysis, easy handling, and reasonable price per unit of nitrogen. Also, urea is likewise the most widely used fertilizer worlwide. 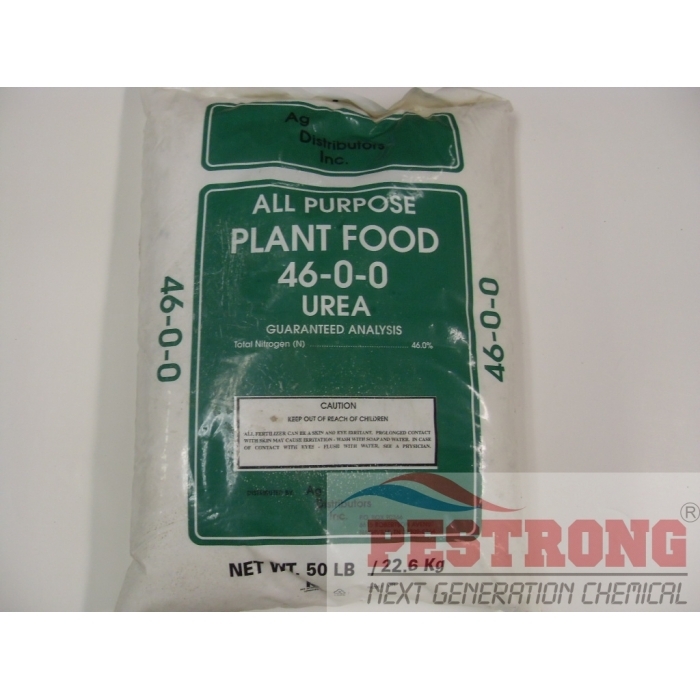 We ship any brands of UREA 46-0-0 (50 Lbs) in currently stock. 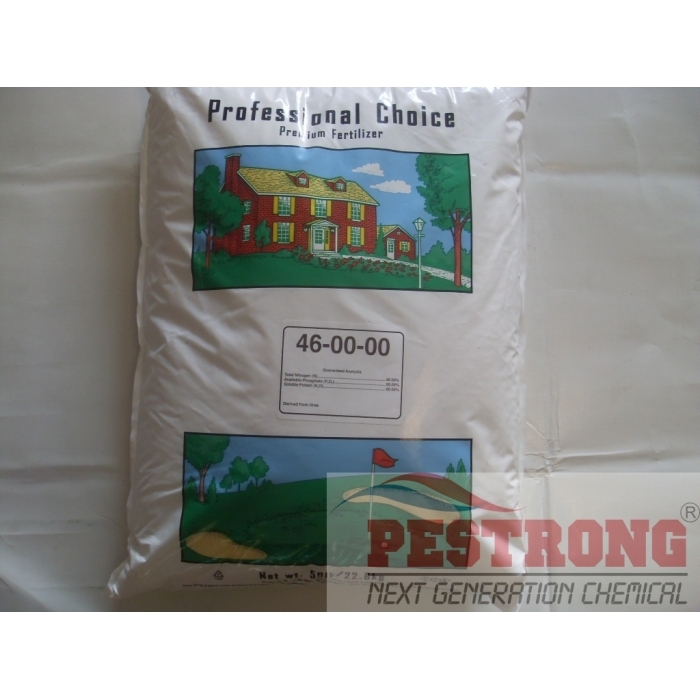 Professional Choice Urea is an effective way to fertilize. Good product and fast shipping. Great product! Good value of nitrogen for the fescue. I'm very pleased with my fertilizer purchase from Pestrong! Thank you for the help. 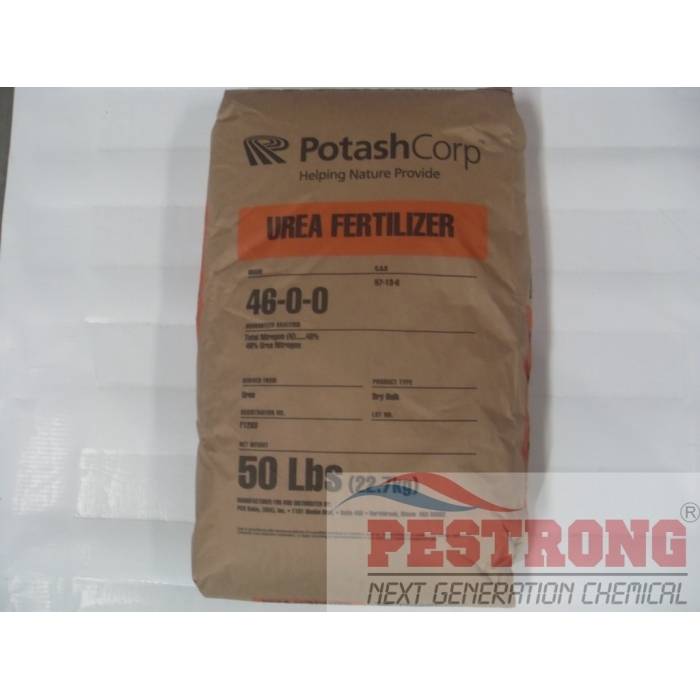 The urea 46-0-0 by Potash, one of the world's largest producer of fertilizer, is a high quality product. The pellets are uniform and do not stick or have dust in its product. Therefore it is great in a broadcast spreader. It really greens up bermuda, just use at proper setting. Packaging is high quality and each 50 lb bag is shipped in tight cardboard boxes. I used urea at my lawn started to grow greener and faster it is the Best ! Now 4 weeks later the lawn is very thick. Just water, you Will never go back to anything else. Urea when applied correctly is the most efficient way to go. Fast shipping. I was very pleased with my fertilizer purchase from Pestrong. It arrived promptly and now my yard is much darker and thicker after its application. I have purchased this product multiple times now. The shipping is always timely and arrives in great condition. The product does exactly what it should and the price is the best I have found. Thank you for such great service and delivering only the top quality products. Great product, use it on your garden to keep everything nice and green. The service at this website is always amazing. Definitely the way to go to keep your yard healthy - great prices.